This is band I saw recommended by Brian Viglione (The Dresden Dolls / Violent Femme…). 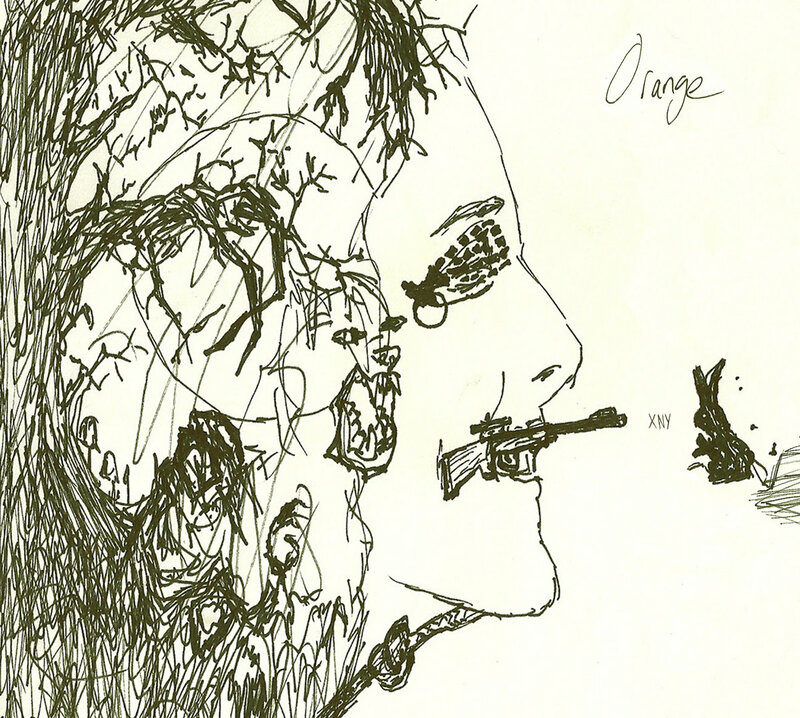 In the summer of 2013 Rock-folk duo XNY released their first album, Orange. Pam Autuori and Jacob Schreiber are based in Brooklyn but started their collaboration at the legendary Berklee School of music in Boston. It is of course natural to want to compare them to other famous rock duos such as The White Stripes or The Kills. Maybe being a duo encourages a more bare-boned, more direct style. XNY, however, do not sound like any of the above. They have chosen a folksy, acoustic sound, and minimalist production. This fits them very well and leaves a lot of room for Autuori’s voice. She plays with great energy yet does not need to scream or use effects to be heard over the guitar, even on more gritty tracks like Rabbit. They are not however trying to play same card as duos such as, say, The Kills, where much is built upon a kind of sensual, aggressive tension between band members. It seems rather that Autuori is letting us into her own, intimate universe, whether with tracks like the delightfully dreamy Where We Went or the more defiant Face Up. Schreiber however is not there simply as her generic backing drummer, and you just need to watch this live rendition of Avalanche to see the complicity between these two is no stage stunt. XNY’s Orange is a truly pleasant surprise and I love the freshness of their music. Their production choice was spot-on and their song-writing should delight any fans of folk-rock (Kate Bush and Cat Power fans like me).